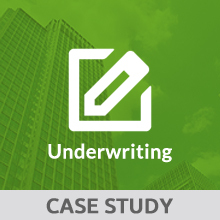 To address the client’s strategic requirements, we assembled a joint team comprising company representatives and experts from Xceedance with deep insurance experience across casualty, healthcare, property, marine, workers’ compensation, and other lines of business. We were charged with making the client’s analytical processes as efficient as possible. Because our team had the knowledge to accurately compile losses and was familiar with the appropriate loss codes, we built macros and combined them with WFMS, a web-based tool, for work allocation and flow. In doing so, we reduced several hours of manual labor per day. We then created checklists in SQL to help analyze application data faster, saving 15 to 20 minutes per account. The effectiveness of our hands-on work for the client has resulted in an ongoing partnership to further strengthen and improve the business. This work product and its time-savings are extraordinary. Now I’m getting really excited to work on these accounts. Please CONTACT US today to learn more about the ways in which we can help you achieve your success metrics. Time and opportunity are passing you by.